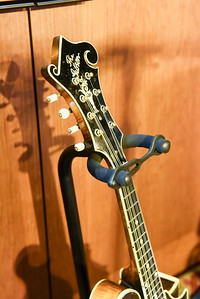 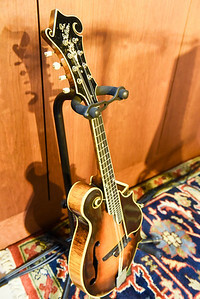 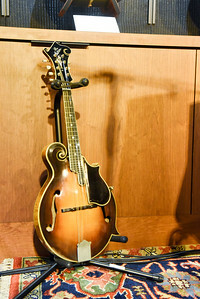 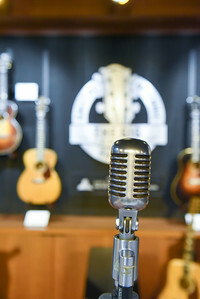 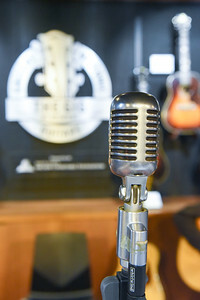 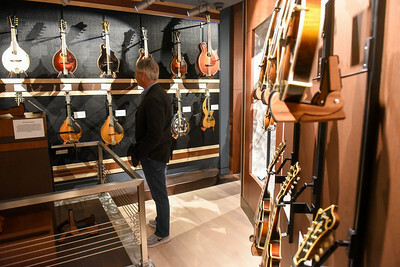 A mandolin waits to be played at grand opening of the Gallery of Iconic Guitars at Belmont University in Nashville, Tenn. April 25, 2017. 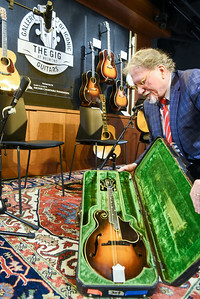 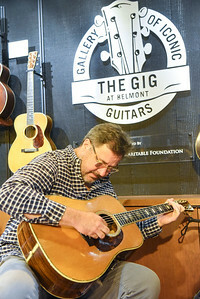 Music Business Dean Doug Howard prepares an instrument at the Grand opening of the Gallery of Iconic Guitars at Belmont University in Nashville, Tenn. April 25, 2017. 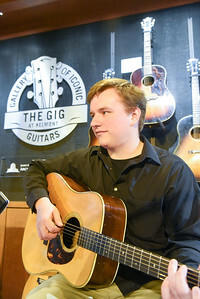 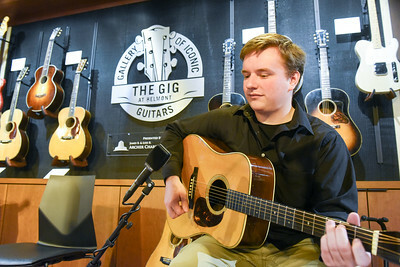 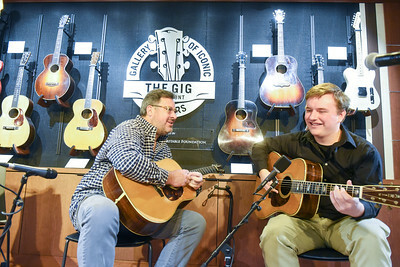 Vince Gill and Belmont student Ben Valine play instruments before the grand opening of the Gallery of Iconic Guitars at Belmont University in Nashville, Tenn. April 25, 2017. 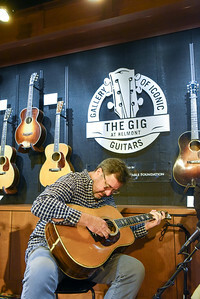 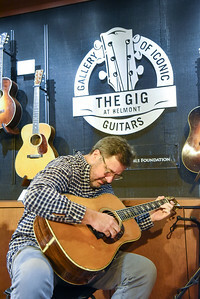 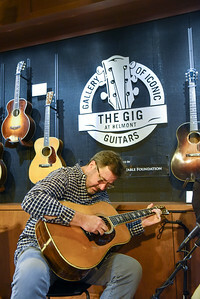 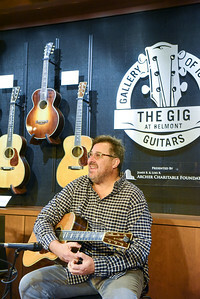 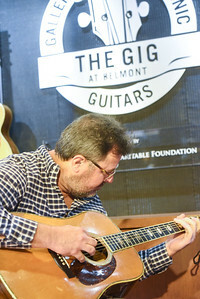 Vince Gill plays a guitar before the grand opening of the Gallery of Iconic Guitars at Belmont University in Nashville, Tenn. April 25, 2017. 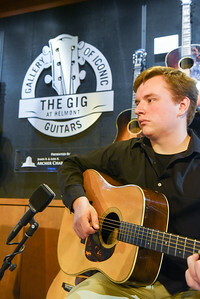 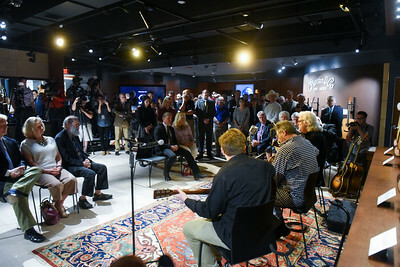 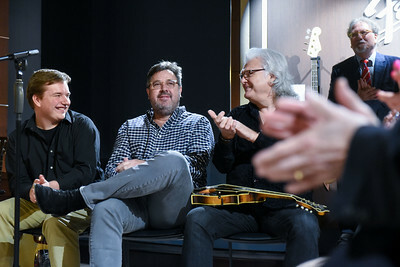 Belmont student Ben Valine, Vince Gill and Ricky Skaggs listen during the grand opening of the Gallery of Iconic Guitars at Belmont University in Nashville, Tenn. April 25, 2017. 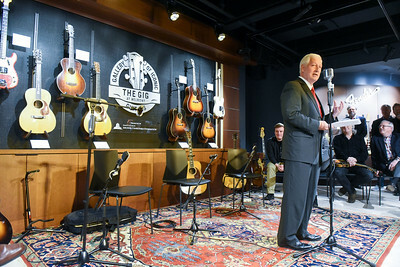 Dr. Bob Fisher speaks during the grand opening of the Gallery of Iconic Guitars at Belmont University in Nashville, Tenn. April 25, 2017. 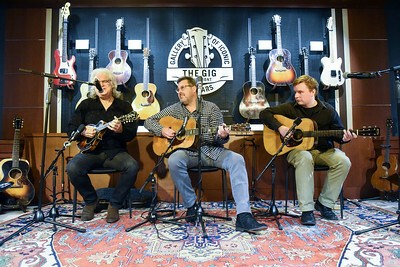 Ricky Skaggs, Vince Gill and Belmont student Ben Valine, perform during the grand opening of the Gallery of Iconic Guitars at Belmont University in Nashville, Tenn. April 25, 2017. 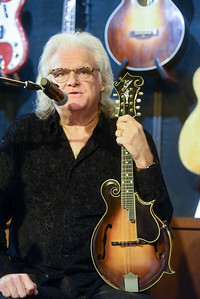 Ricky Skaggs speaks about the mandolin he is playing at the grand opening of the Gallery of Iconic Guitars at Belmont University in Nashville, Tenn. April 25, 2017. 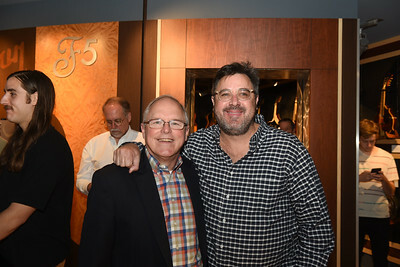 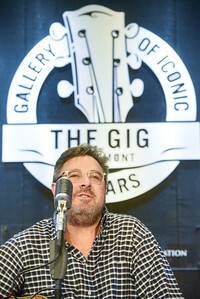 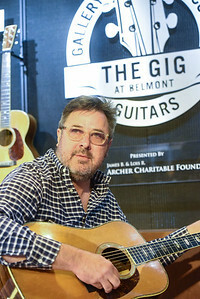 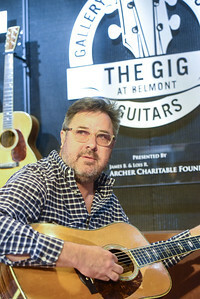 Vince Gill speaks about the guitar he is playing at the grand opening of the Gallery of Iconic Guitars at Belmont University in Nashville, Tenn. April 25, 2017. 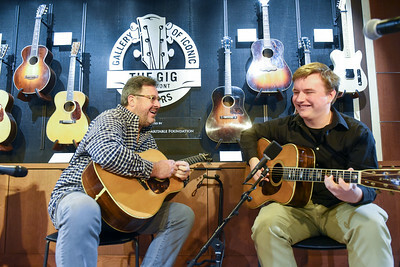 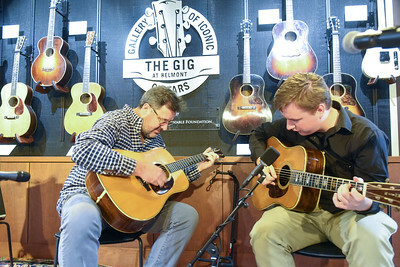 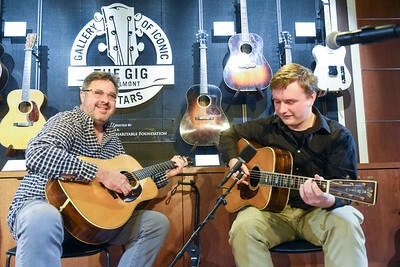 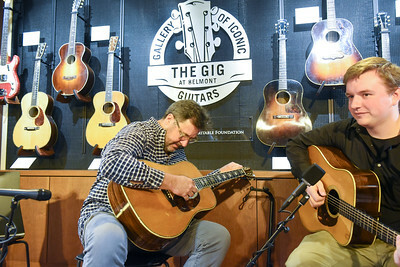 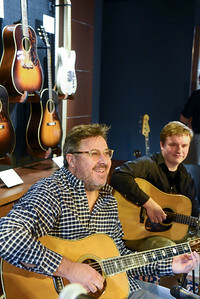 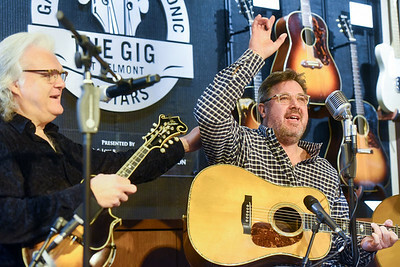 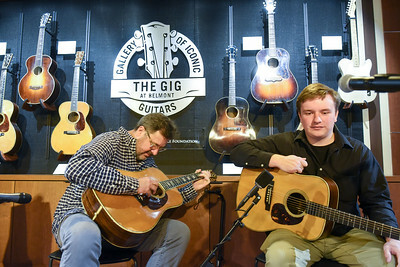 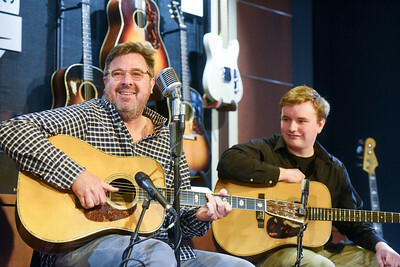 Vince Gill and Belmont student Ben Valine play during the grand opening of the Gallery of Iconic Guitars at Belmont University in Nashville, Tenn. April 25, 2017. 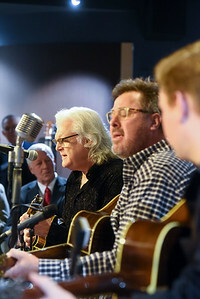 Ricky Skaggs and Vince Gill play during the grand opening of the Gallery of Iconic Guitars at Belmont University in Nashville, Tenn. April 25, 2017. 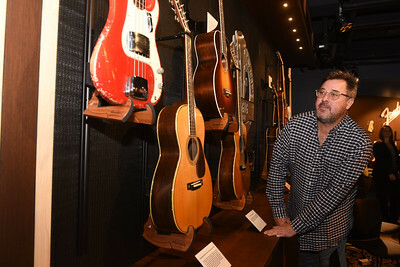 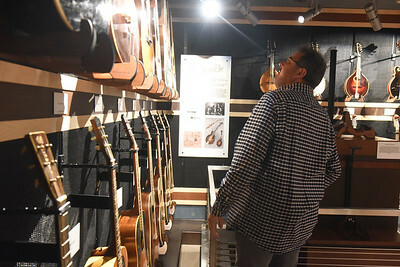 Vince Gill looks at the collection during the grand opening of the Gallery of Iconic Guitars at Belmont University in Nashville, Tenn. April 25, 2017. 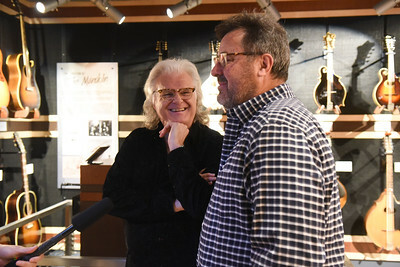 Ricky Skaggs and Vince Gill talk to the media after the grand opening of the Gallery of Iconic Guitars at Belmont University in Nashville, Tenn. April 25, 2017. 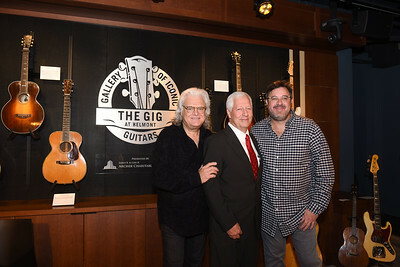 Ricky Skaggs, Dr. Bob Fisher and Vince Gill pose for a picture after the grand opening of the Gallery of Iconic Guitars at Belmont University in Nashville, Tenn. April 25, 2017. 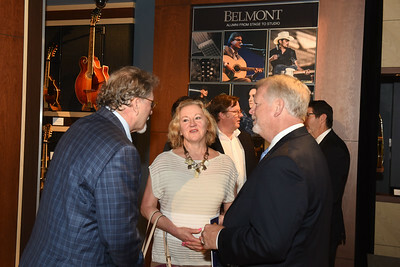 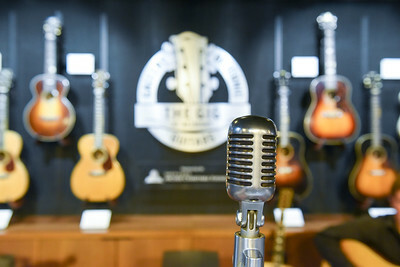 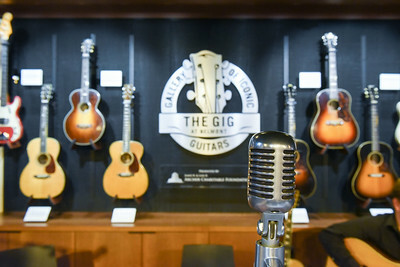 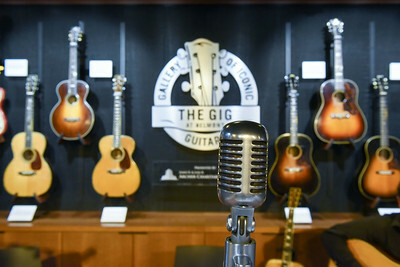 Grand opening of the Gallery of Iconic Guitars at Belmont University in Nashville, Tenn. April 25, 2017.